Do present Native peoples as appropriate role models with whom a Native child can identify. Don’t single out Native children, ask them to describe their families’ traditions, or their people’s cultures. Don’t assume that you have no Native children in your class. Don’t do or say anything that would embarrass a Native child. 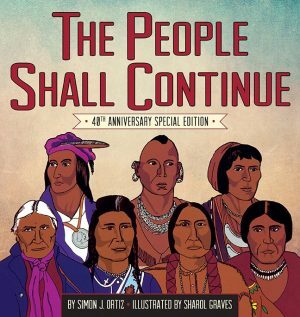 Do look for books and materials written and illustrated by Native people. Do avoid arts and crafts and activities that trivialize Native dress, dance, or ceremony. Don’t use books that show Native people as savages, primitive craftspeople, or simple tribal people, now extinct. Don’t let children play with artifacts borrowed from a library or museum. Don’t have them make “Indian crafts” unless you know authentic methods and have authentic materials. Do make sure you know the history of Native peoples, past and present, before you attempt to teach it. Do present Native peoples as separate from each other, with unique cultures, languages, spiritual beliefs, and dress. Don’t teach “Indians” only at Thanksgiving. Do teach Native history as a regular part of American history. Do use materials which put history in perspective. Don’t use materials which manipulate words like “victory,” “conquest,” or “massacre” to distort history. Don’t use materials which present as heroes only those Native people who aided Europeans. Do use materials which present Native heroes who fought to defend their own people. Do discuss the relationship between Native peoples and the colonists and what went wrong with it. Don’t speak as though “the Indians” were here only for the benefit of the colonists. Don’t use materials that stress the superiority of European ways, and the inevitability of European conquest. Do use materials which show respect for, and understanding of, the sophistication and complexities of Native societies. Do use materials which show the continuity of Native societies, with traditional values and spiritual beliefs connected to the present. Don’t encourage children to do “Indian” dances. Do use respectful language in teaching about Native peoples. Do portray Native societies as coexisting with nature in a delicate balance. Do use primary source material — speeches, songs, poems, writings that show the linguistic skill of peoples who come from an oral tradition. Do use materials which show Native women, Elders, and children as integral and important to Native societies. Don’t use books which portray Native women and Elders as subservient to warriors. Do talk about the lives of Native peoples in the present. Do read and discuss good poetry, suitable for young people, by contemporary Native writers. Do invite Native community members to the classroom. Do offer them an honorarium. Treat them as teachers, not as entertainers. Don’t assume that every Native person knows everything there is to know about every Native nation. Text by Doris Seale and Beverly Slapin. Design by Guillermo Prado. Poster © 1993, 1996, 1998 Oyate, 2702 Mathews Street, Berkeley, California 94702, phone (510) 848-6700, fax (510) 848-4815, oyate@idt.net, (updated address) http://www.oyate.org/ This text is offered here with the express permission of Oyate. Please note that it is under copyright, and no unauthorized uses (including modifications) are permitted. For information on permissions, obtaining a copy of the poster, etc., please contact Oyate directly (see also contact information directly above).